Purn Singh Saikhon was born in Punjab in 1893. He first went to China like many of his countrymen, where he worked as a police officer. Soon he had saved enough for his fare to America. 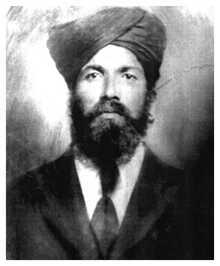 Around 1910, he entered through Angel Island in the San Francisco Bay; like other Punjabis, he made his way to the Imperial Valley and began farming at the north end between Niland and Calipatria. Another Imperial Valley farmer, Phoman Singh, came to America with Purn Singh, and remained a lifelong friend and partner. Rosario was born in 1912 to silversmith Miguel Perez and Julia Gutierrez, in Colima, Mexico. Her mother came north alone to Los Angeles to help support the family back home. 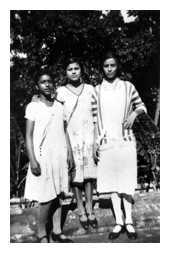 Eventually her parents separated, her mother remarried, and Rosario and her younger siblings came to Los Angeles in 1925, to live with her mother and stepfather. She still remembers vividly the crossing from Manzanilla to San Pedro on the Japanese liner Baikal Maru. Rosario's stepfather moved the family to Niland, where a friend of his organized labor crews to harvest peas. There Rosario was introduced to her future husband. She wasn't too enthusiastic about marrying him at first, but a friend pointed out that it could mean an end to her days of backbreaking labor. Julia insisted that her daughter get married in the Catholic Church. 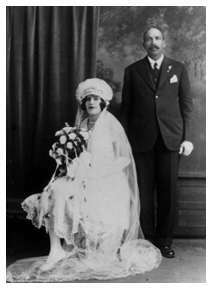 The marriage was registered in Yuma, AZ on May 8, 1929. They had a daughter, Gloria, and two sons, Mario and Hector. Rosario was often lonely on the ranch, so Purn invited her brother Rudy to live with them. He also helped educate Rudy, who later helped out with the business end of the farming. Eventually, Rudy returned to Mexico and retired as a general in the Mexican army.